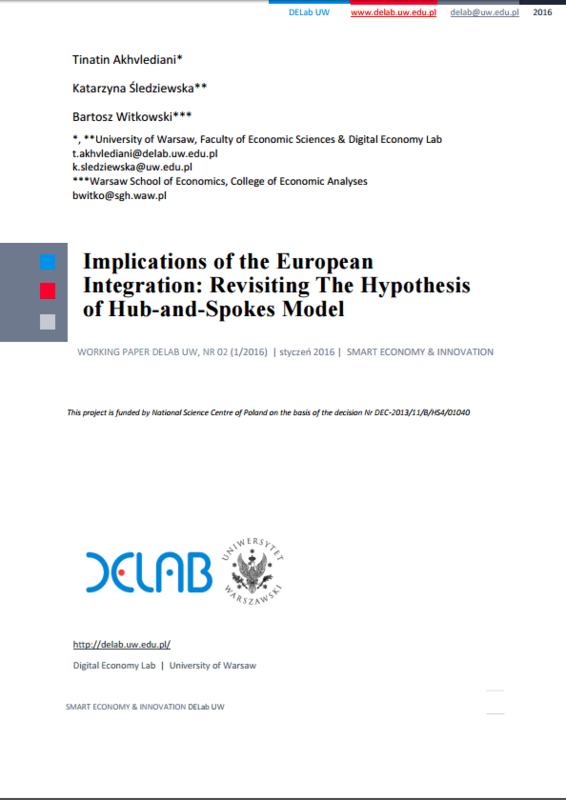 The paper aims to examine the early hypothesis of Baldwin (1994) predicting the formation of the “hub-and-spokes” model as a consequence of the EU enlargement. Based on the augmented gravity model we estimate the panel data of the export flows of Visegrad 4 (V-4)over 1999-2014. Our estimations show that the trade of New Member States (NMS) of the EU including V-4 is not concentrated over the EU15 but among themselves and furthermore among their natural partners. Therefore, the hypothesis of Baldwin implying the marginalization of the NMS is not verified by our analysis. Instead, we may reasonably state that the model of “hub and spokes” does not report the contemporary trade relations across the EU.